It’s been a while since I last wrote about my commissary kitchen at the Central Collective. Back in May, we had just placed our order with KaTom for our sinks, range, and hood system. Since then, the equipment has been installed, the floors have been sealed, the kitchen has been inspected, and we are fully operational. This is going to sound cheesy, but most mornings I wake up and feel a little terrified that I’m dreaming. Having a space of my own for Dale’s Fried Pies where I can store things in the most efficient way for me, buy as many ingredients at a time as I need–rather than trying to cram them in the little cubby allotted to me at kitchen rentals–and not have to work around someone else’s schedule is so exciting. I knew from the very beginning that having a space of my own was going to be wonderful, but there have been some small and very pleasant surprises that I didn’t necessarily expect. 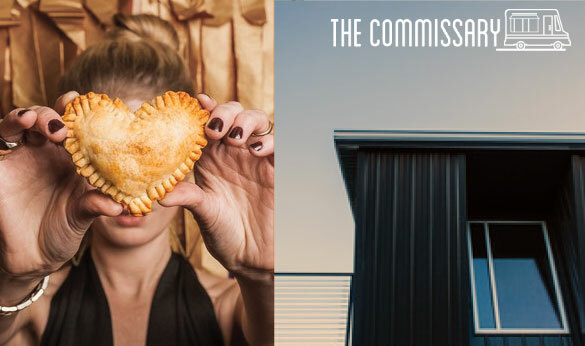 At Knoxville, Tenn.’s Central Collective, the community kitchen adjoins a photo studio and office space. In previous spaces I’ve rented, I didn’t have control over the frying oil used, how often it was cleaned, or what temperature the fryer was set to. Now, I fry my pies in a big vat on the range rather than in an industrial fryer. I’ve been impressed with how fast the oil heats up and with the taste, cost, and cleaning improvements that come along with choosing and chucking my own oil. I’ve even hooked up with a local company that picks up my spent pie oil and uses it to make biofuel. How cool is that? In addition to ample counter space (that I don’t have to share), I have two stainless prep tables fully at my disposal while I prepare filling, roll doughs, and fry pies. The kitchens I had rented were either tiny or had other people working in them at the same time as me, so I never had much room to stretch out. I can work faster and more creatively now that space is not an issue. Having a commercial location means that I can now place orders through a commercial food distributor for staples like sugar, flour, and butter. This saves me time and money because I don’t have to pay retail price or do the legwork of shopping. Also, if I need to order special equipment online, I can have it shipped right to the commissary rather than sending it to my home and having to schlep it back and forth from the kitchen. We didn’t install a dishwasher in the kitchen because that would have entailed a giant grease trap that we didn’t think we needed. This means that every evening, I spend my last hour in the kitchen washing dishes by hand. While I originally saw this as a significant drawback to the spaces I was renting (where I could stick all my dishes in a big machine, close the door, and know that they’d be clean in minutes), this has been a welcome ritual for me at the end of a long day of running the business. It’s a time when I can clear my head, think about what I accomplished, decide what tomorrow’s priorities might be, and make my space as beautiful as it was when I arrived that morning. Designing my own space means that I was able to incorporate personal touches that make me feel at home. 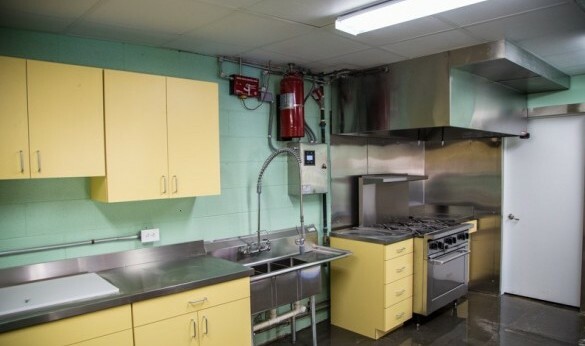 I didn’t want the kitchen to look institutional, so instead of all-stainless cabinets and fiberglass-reinforced plastic walls, I opted for yellow laminate cabinets and mint-green epoxy paint that, while adhering to county health department standards, also make my space feel cozy. I put up photos, awards, and news clippings about my business for motivation, which makes it feel even more personal. Folks visiting or renting the kitchen have commented how nice it feels to work in a commercial space that feels so comfortable. I have a lot to be thankful for this year and hope that you do, too.